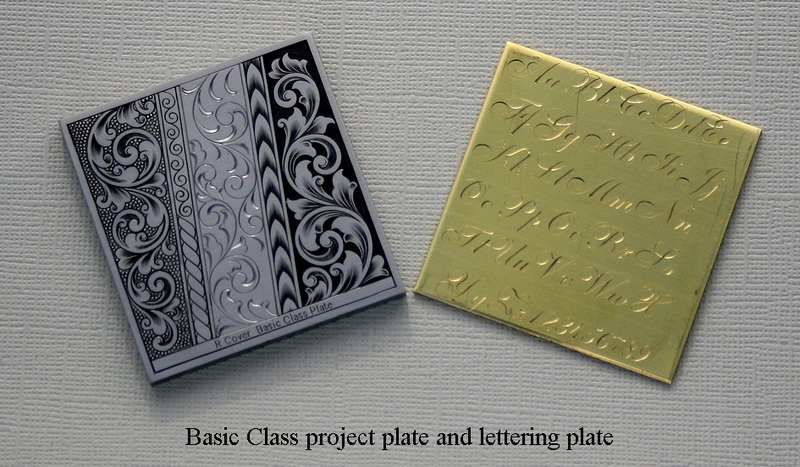 Why take an engraving class? Can engraving be taught and learned? Absolutely!!! However, it is not a quick process and requires a lot of practice on the student’s part. A class will shorten the time it takes to acquire the knowledge and keep you from learning bad habits but it cannot remove the required time spent in practice. This is my entry level class designed for novice beginners. 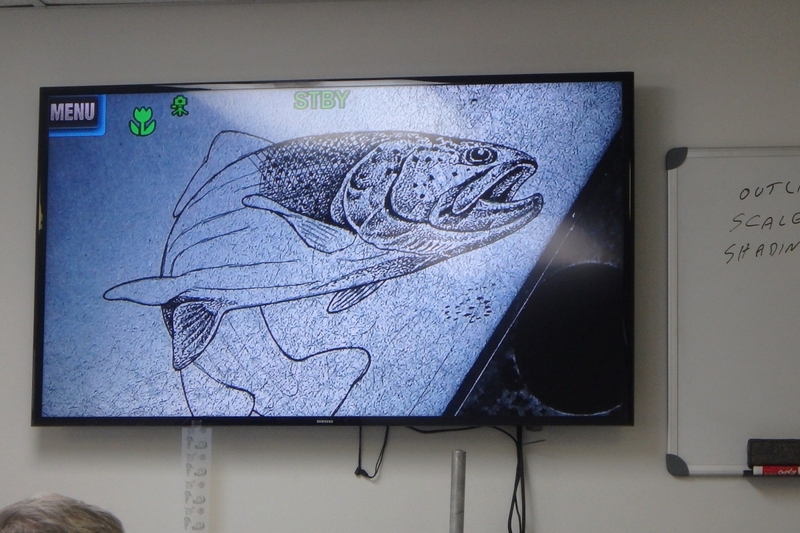 This class is also for experienced engravers who want a refresher course or a different point of view from an experienced full time bench engraver. Once the basic skills are practiced enough to have control of them the student is encouraged to move forward and take an intermediate level class. To be successful in this class a student must have enough tool control. 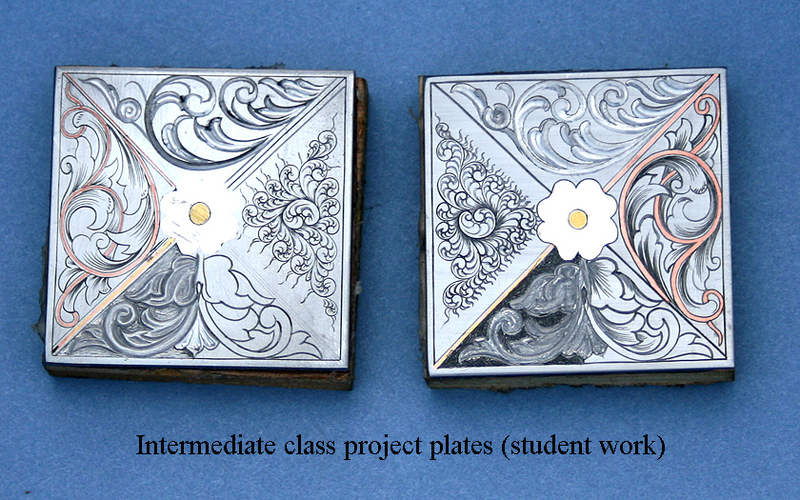 This engraving class covers various metal inlay techniques. 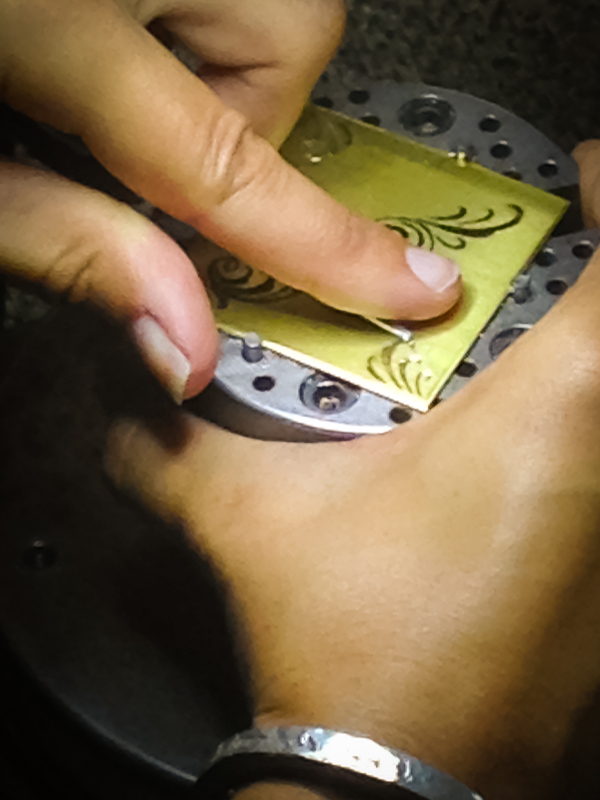 Sheet inlay, wire inlay, twisted wire inlay, raised line inlay, and multi-metal inlay are all covered in this workshop. This is basically a sculpted scroll workshop. Ray provides private instruction as well as group classes. The advantages of private instruction are that the content can be customer tailored to the students needs. It can also be scheduled for a time that works for both the student and Ray. There are two prices for private instruction. Semi private instruction is structured the same way as private instruction but it is for two people. 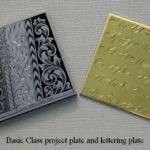 This works well for two family members, two co-workers, or two friends who are both interested in engraving. 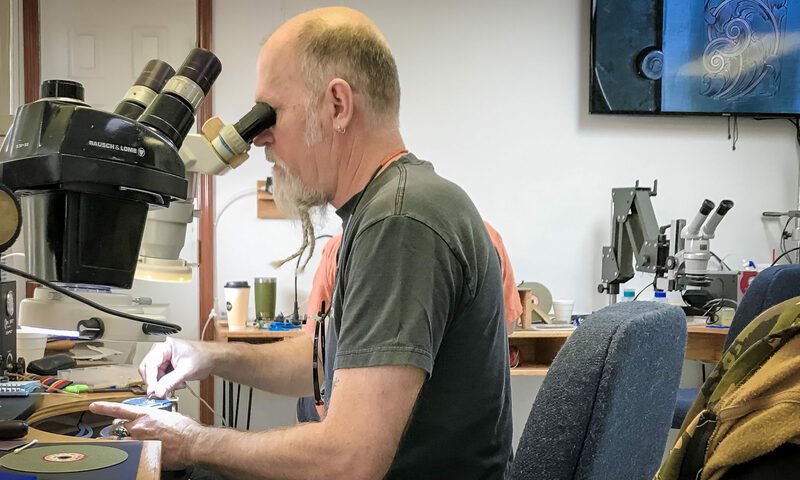 Bright cutting and flare cutting are real money makers for jewelers and engravers. These styles have a great sculpted look and can be cut fairly quickly since they have no background or shading. The three day bulino workshop is a techniques based class. In this class I cover how to create various textures such as animal fur, hair, fish scales, bird feathers and various landscape elements . 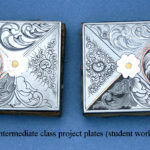 To sign up for a class contact Ray Cover . His address is 16235 State Hwy U, Mineral Point, MO 63660. His phone number is 314 808 2508.